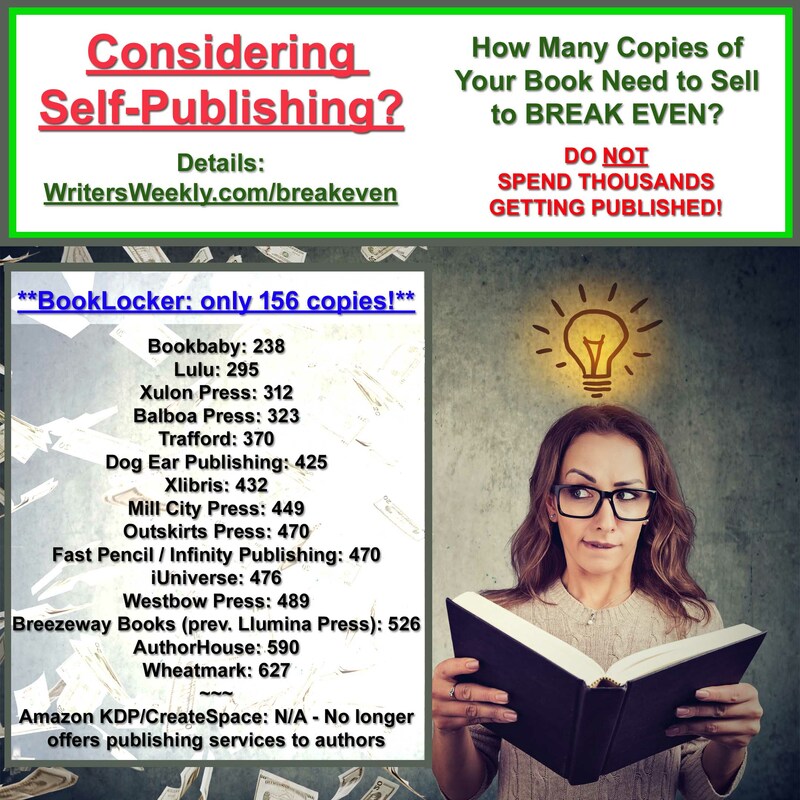 WritersWeekly Trivia Question for 01/24/2019 – WIN A FREE PUBLISHING PACKAGE FROM BOOKLOCKER VALUED AT $875! Keep checking back for more contests! These are FUN!! Be sure to FOLLOW US ON FACEBOOK so you’ll be immediately notified when each new contest is posted. Congratulations to STEVE DENMARK for being the FIRST to respond that the BBB gave Indie Writers Support an “F” rating. 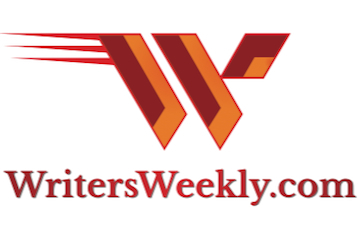 According to last week’s issue of WritersWeekly – what rating has the Better Business Bureau given to Indie Writers Support and Paradon Books Publishing? An At-Your-Service Publishing Package from BookLocker.com! Includes interior design, original cover design, ISBN, barcode, distribution/fulfillment, etc. CLICK HERE to see the package details. 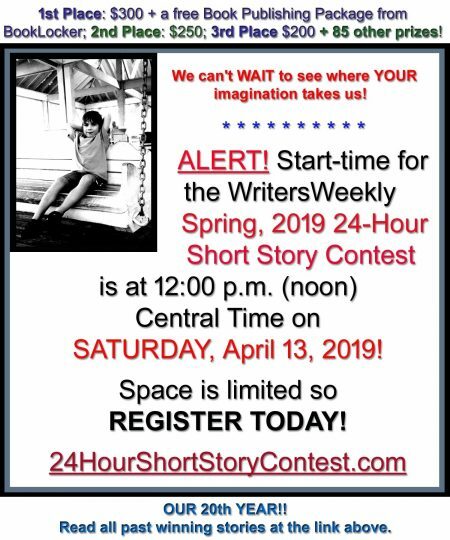 Subscribe to WritersWeekly.com now. It’s free! 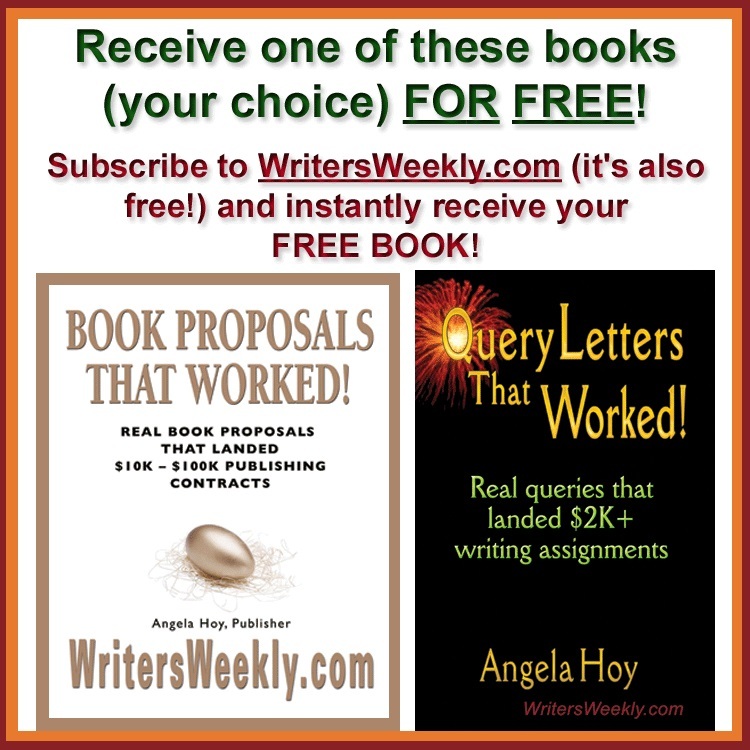 Freelance jobs, paying markets for writers, and more every Wednesday! THE FINE PRINT: Your manuscript must be ready for review and formatting within one week of notification by BookLocker that you have won. Your manuscript must first be approved for publication by BookLocker. (BookLocker.com will not publish books with bad writing or poor editing, nor ones that violate laws, contain libel or invasion of privacy, or that teach people how to perform illegal acts.) If BookLocker can’t publish the winner’s book for any of these reasons, their prize will instead be a free book of their choice from BookLocker.com.